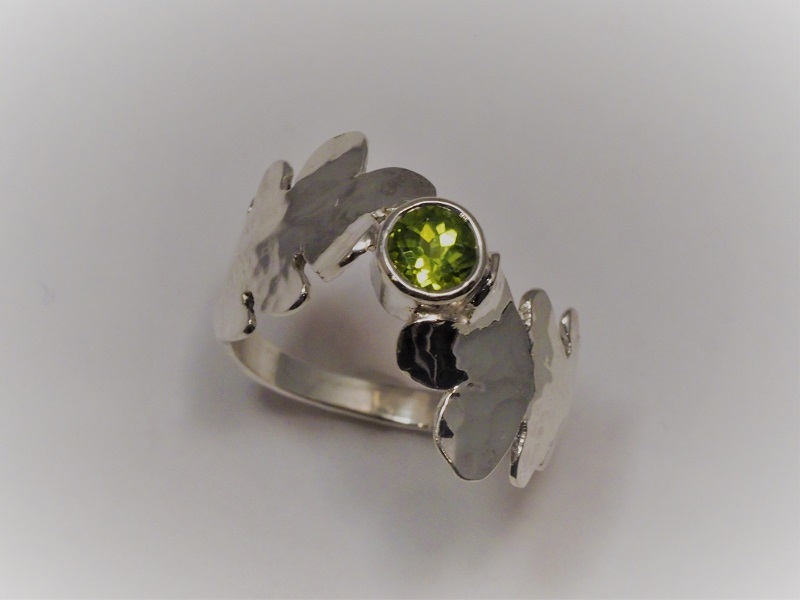 Hand-forged sterling silver leaf ring, with a 4.5mm round peridot set in a sterling silver bezel. Each ring is unique, and your ring may vary slightly from the ring pictured. Can be handmade to order with the stone of your choice. Please allow 2 weeks for completion. To order the ring with a different stone, please contact us for a quote.